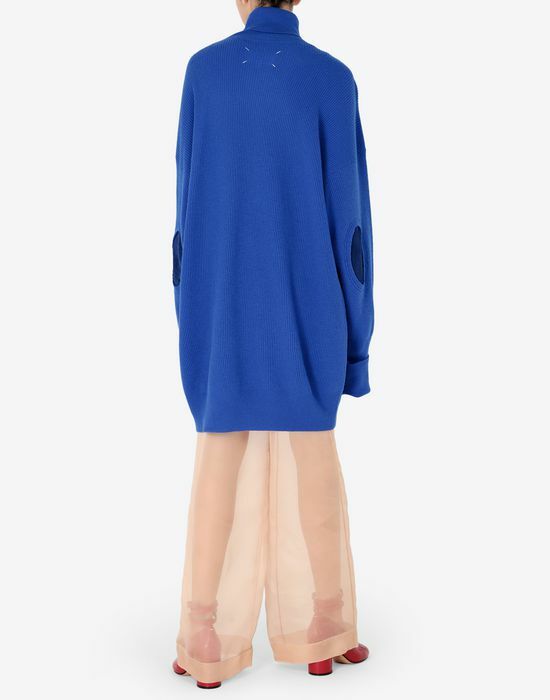 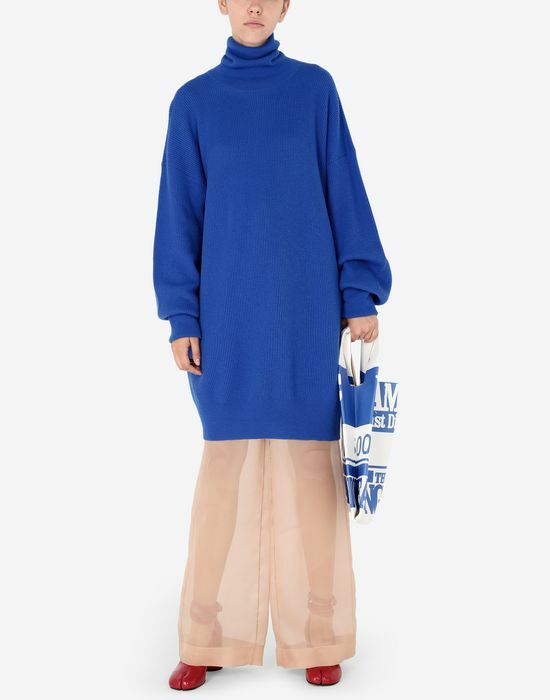 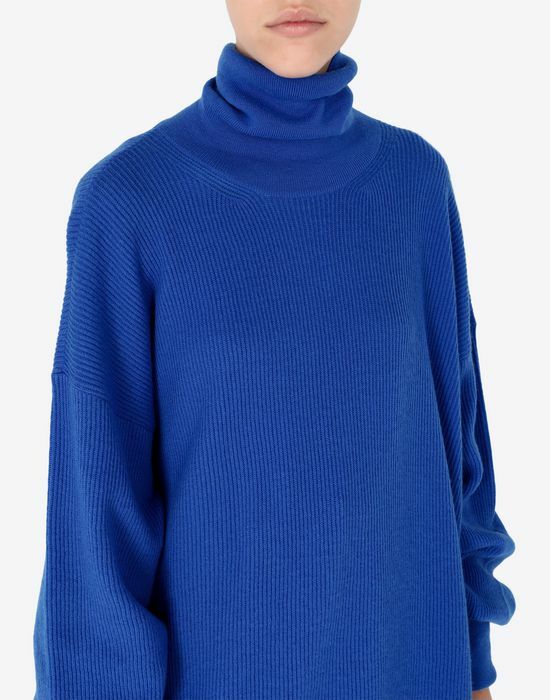 This oversized woollen pullover features a bold blue shade. 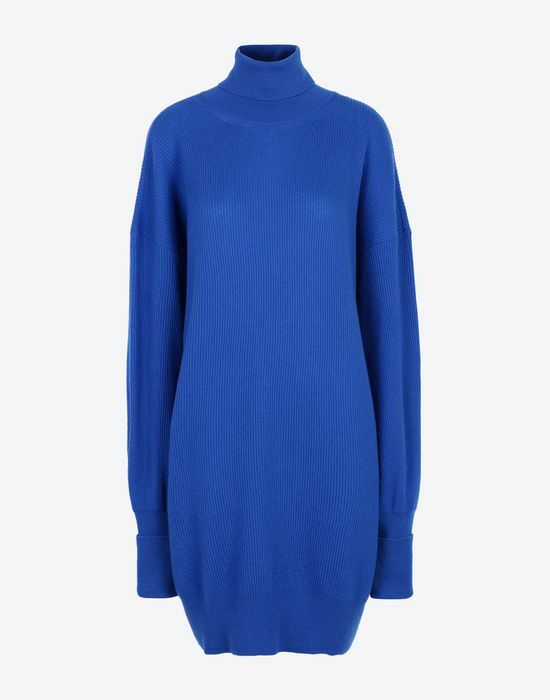 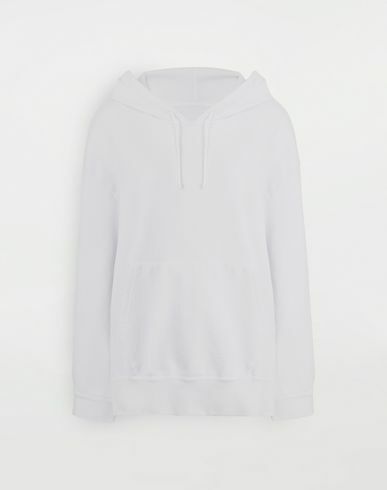 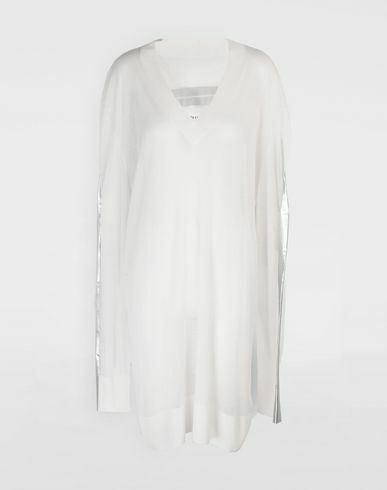 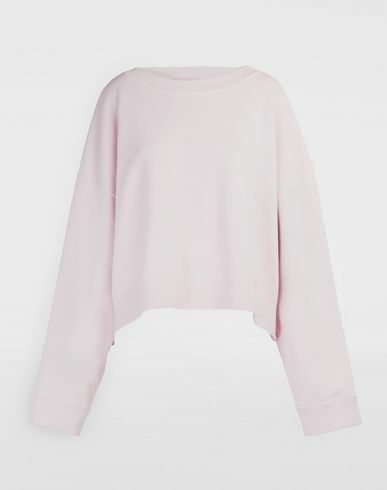 The knitwear is cut above the knee, with sporty, relaxed dropped shoulders and a high neck. 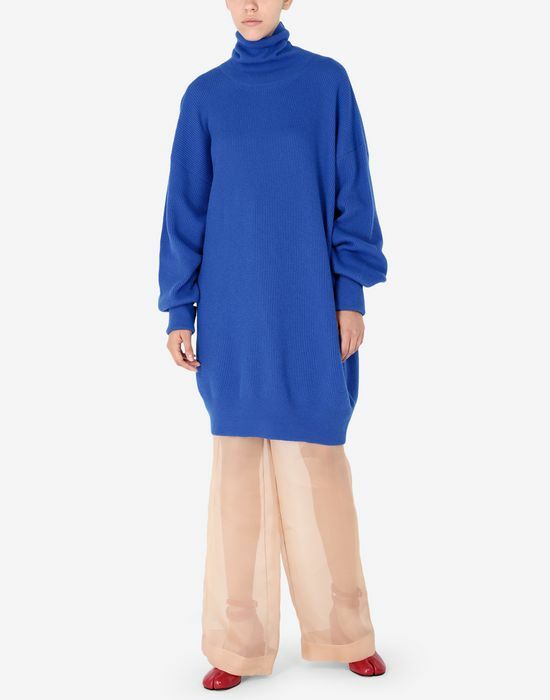 Voluminous sleeves that become close-fitting at the cuffs add impact. 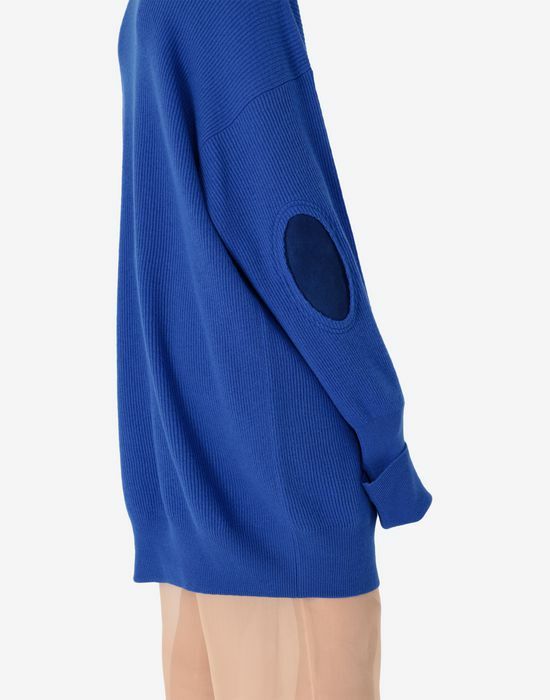 At each elbow, a detail is explored with the rough-cut fabric revealing a patch of smooth material in a deeper shade of blue.